Post-stroke aphasia (PSA), which refers to the loss or impairment of language, is typically caused by left hemisphere lesions. Previous neuroimaging studies have indicated that the pathology of PSA may be related to abnormalities in functional integration. 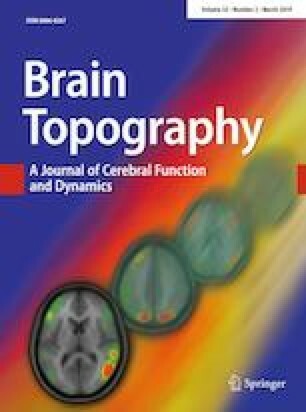 In this study, we used resting-state functional magnetic resonance imaging (rs-fMRI) to examine functional connectivity density (FCD) in PSA. We compared short- and long-range FCD between individuals with PSA (n = 17) and healthy controls (HC, n = 20). We then performed Pearson’s correlation analysis on the FCD values from the affected brain regions and the speech scores in the PSA group. Compared with HCs, individuals with PSA showed increased short-range FCD in the contralesional temporal gyrus, the inferior frontal gyrus, the thalamus, the insula, and the mesial temporal gyrus [hippocampus/parahippocampus (HIP/ParaHIP)]. PSA demonstrated an increased long-range FCD in the contralesional mesial temporal gyrus (HIP/ParaHIP). PSA also displayed decreased short-range FCD in the ipsilesional part of the frontal gyrus, the caudate, the thalamus, the fusiform gyrus, and the mesial temporal gyrus (HIP/ParaHIP), and decreased long-range FCD in the ipsilesional superior temporal gyrus, the fusiform gyrus, and the mesial temporal gyrus (HIP/ParaHIP). The decreased long-range FCD in the left superior temporal gyrus in PSA subjects was positively correlated with the spontaneous speech score. The altered FCD observed due to disrupted functional connectivity after stroke may lead to language production, semantic processing, and cognitive impairments. Our findings expand previous functional studies on stroke and provide new evidence of the intraregional and interregional interactions at the voxel level in the pathophysiology of PSA. The online version of this article ( https://doi.org/10.1007/s10548-018-0681-4) contains supplementary material, which is available to authorized users. We thank the radiologist Ying Liu (Y.L.) from the Hospital of Fuzhou for manually tracing the outline of the lesion. This work was supported by Natural Science Foundation of China (Grant Nos. 61806042 and 81471653), Fundamental Research Funds for the Central University (Grant No. ZYGX2013Z004), Sichuan provincial health and family planning commission research project (Grant No. 16PJ051), and the project of the Science and Technology Department in Sichuan province (Grant No. 2017JY0094).